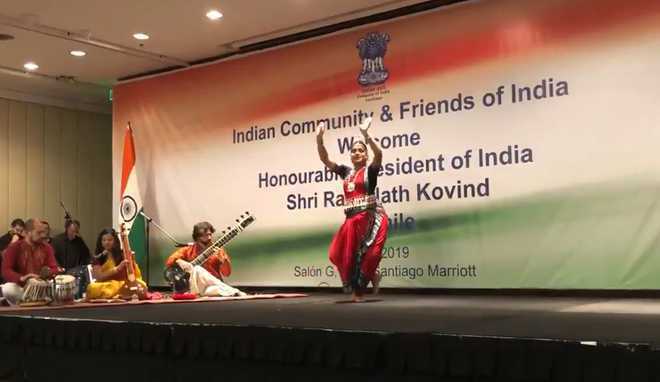 The recitation of “Mool Mantar” as background lyrics during a dance performance in the presence of President Ram Nath Kovind at an event in Chile has invited the SGPC ire. A video clip of the event was uploaded on the official Twitter account of the President, who is on a visit to Santiago. Following this, the SGPC received numerous complaints from Sikhs all over the world. SGPC chief secretary Dr Roop Singh said the act was a sheer violation of Sikh Maryada (tenets). “In Sikhism, the ‘mool Mantar’ and Japji Sahib prayers hold immense significance and ought to be recited with Maryada. Conducting a dance item on its rhythm was unfortunate. Besides, uploading its video on President’s Twitter handle has hurt the Sikhs,” he said. In the video, a banner was fixed in the background of the stage which conveyed that this welcome programme was organized by the “Indian Community and Friends of India”. The name of the President was also mentioned in it.